Think Edward Woodward would've been great in the original series. I think so too. Maybe he could have played acting head of CI5, a sign of things to come. Derek Thompson could have been in The Professionals as well. His Long Good Friday co-star P.H. Moriarty played a hitman in Operation Susie. John Duttine could have been in it too. He was Rod in Who Dares Wins. Maurice O'Connell, John Woodvine, Tom Chadbon, Philip Sayer and John Salthouse would have also been worth watching in The Professionals. They could have all played villains with Woodvine being convincing as a senior KGB agent. Robert Lindsay could have also guest starred on the show. Tony Doyle, Norman Rodway and Patrick Allen could have appeared in The Professionals too. They were in Who Dares Wins. Same with Bob Sherman who played the American soldier beaten up by Skellen in WDW and then gave him a taste of his own medicine. He was in The Sandbaggers. Michael Cronin could have been in The Professionals too. He played Mr. Baxter in Grange Hill and appeared in the Sweeney episode Visiting Fireman. I think he would have been ideal as an old SAS superior of Bodie's. The late Morris brothers (Wolfe and Aubrey) could have also been in The Professionals. They both starred in the Sweeney episode Stoppo Driver from 1974. I think Wolfe could have played George Murcell's role in Stirring Of Dust and Aubrey could have played a Russian spy or a foreign diplomat. As Mark Wingett, Tony Scannell, Christopher Ellison and Simon Rouse (all stars of The Bill) turned up in The Pros, I would have liked to see Eric Kent (Bob Cryer) and Gary Olsen (Litton) as well. Trudie Goodwin would have been a good guest star too. Michael Halsey is another actor who should have been in The Professionals. He was in the pilot episode of Blake's 7 and made a career playing villains in American TV series like Airwolf and The A-Team. Eric Richard played Bob Cryer. Sorry, my mistake. I remember seeing him in One Summer. I would have liked to have seen Dennis Waterman and John Thaw turn up in the series, could have been interesting. They could have both played villains. Dennis played an ex-soldier trying to make an explosive statement in Special Branch and John played quite a few baddies as well before he was cast as Regan. They could have played terrorists or maybe even cameo'd as Regan and Carter. George Cole could have been in The Professionals. He could have played a snout or gangster in one of the early episodes. Dorothy White could have had a role too, maybe as a prostitute or relative of a murder victim. She played the ill-fated Margaret in Get Carter. Elizabeth Cassidy could have been in The Pros too. She played John Kline's girlfriend in Gangsters and Frankie's daughter in Sweeney episode I Want The Man. Gavin Richards could have also made an appearance (he played Terry Raymond in EastEnders back in the late '90s) as well as James Grout. I watched Gangsters for the first time last week and thought it was a great series, although series 2 was a bit weird. Without a doubt Elizabeth Cassidy would have been good in the Sweeney along with the guy Colbourne, can't think of his first name, who played Kline. Maurice. He was an underrated actor. Despite forever being known as Tom Howard, he was very effective at playing villains and anti-heroes. He had a very decent role as a gangster blackmailed by Bulman in 2 excellent episodes of Strangers from series 3. I remember him. He was in Grange Hill as headmaster Mr. Llewellyn (series 2 and 3 I think). He would have been good as he was also in Bergerac. 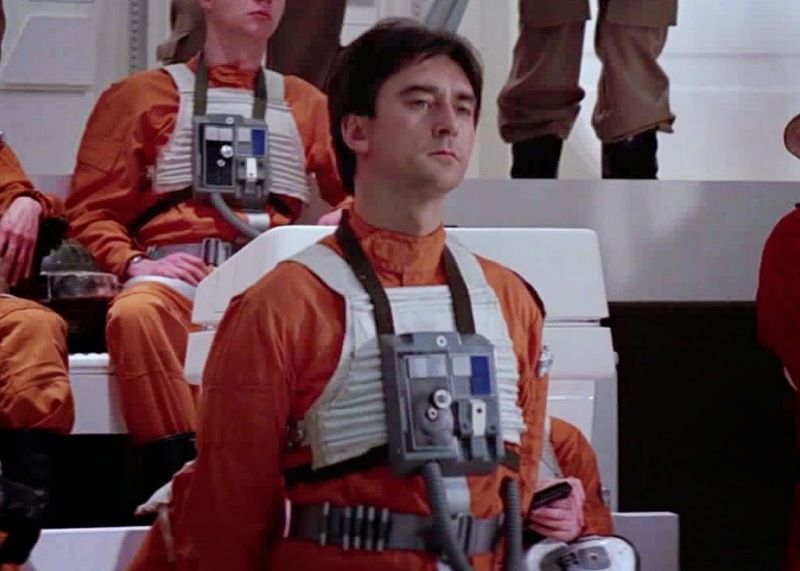 Denis Lawson would have been a good Pros guest star. To many, he'll always be this chap and worth mentioning that his fellow Star Wars actor Jeremy Bulloch (Boba Fett) played Geoffrey Palmer's henchman in Where The Jungle Ends. What about Denys Hawthorne who also played a very early Grange Hill principal, Mr Starling? Trevor Eve is worth a shout. Loved Shoestring back in the day. Funnily enough, back in 1980, The Professionals was being shown on a Sunday night the same time as Shoestring. It was a proper ratings war. Peter Childs could have had a guest spot on The Pros. He had appeared in The Sweeney, Minder (as Rycott) and countless other shows such as Crown Court and Grange Hill. Frederick Treves would have been ideal too. He played Beemax in Sweeney episode Visiting Fireman and McKyle in Sweeney 2. I can't believe I forgot Edward Peel. He played intimidating characters in Emmerdale, The Sweeney and Strangers and was also in Minder. Barrie Houghton is another actor who could have easily played a villain in The Professionals. He played ruthless characters in Strangers (Armed & Dangerous/A Racing Certainty) and Saracen (Ratline). Robert Addie (RIP) could have appeared in one of the last filmed Pros eps. He will always be known as Sir Guy of Gisborne in Robin Of Sherwood.